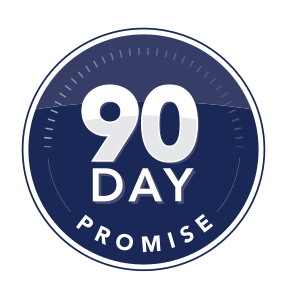 If you successfully complete our 90-day program, we guarantee you’ll stay clean and sober, or you can return for a complimentary 30-days of treatment. To apply for your complimentary 30-days of treatment you must first contact an authorized American Addiction Centers Treatment Consultant at 888-966-8152 . You will be responsible for transportation to the facility or airport nearest to facility. AAC will arrange for transportation to and from the nearest airport to facility at no charge to you. This offer is non-transferable, may only be used once, and the complimentary 30-days must be used consecutively.